If you think that your business has been put at risk by surveillance devices, then you need to hire a professional to find and remove the offending devices. However, not all companies are equal to the task, and it is important to choose one that will carry out electronic bug sweeping that meets all of your needs. When looking for a counter surveillance company to meet your business’ needs, the first thing you need to look for is a company who have experience in finding and removing electronic devices. It may sound obvious, but different companies will have different specialisms, and you need one whose expertise joins up with your need. You should also check whether they have worked with companies in your business sector and type of premises before. This is particularly important if you have a research facility, or temperature controlled parts of the building, for example, where particular care needs to be taken. Ask your chosen company about the service they provide. Questions you might need to ask include; how do they assess your level of risk, will they remove as well as locate the bugs, and following the bug sweeping will they provide you will a full report. These are important as they will help you to take further legal action against the perpetrator, and take measures to avoid this happening to you again in the future. Other elements that you will want to find out about include how they approach confidentiality, including checking that they can work covertly if needed, and how quickly they can get to you; after all, the longer you need to wait, the greater the risk to you and your business. For an electronic bug sweeping service that really understands and responses to the needs of your business, you need Advanced Sweeping. We work with you throughout the whole bug sweep and removal process to ensure the return of your security and privacy. 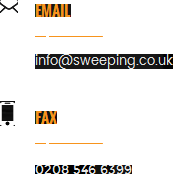 Find out more and contact us direct through our website, http://sweeping.co.uk/.